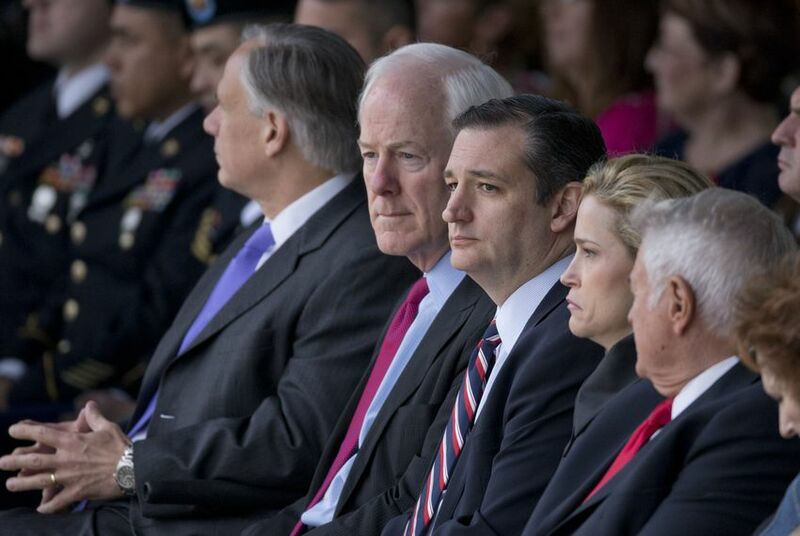 U.S. Sen. John Cornyn said Wednesday that he will continue to remain neutral in the GOP nomination fight and will not endorse his fellow Texan, U.S. Sen. Ted Cruz, for president. WASHINGTON — U.S. Sen. John Cornyn said Wednesday that he will continue to remain neutral in the GOP nomination fight and will not endorse his fellow Texan, U.S. Sen. Ted Cruz, for president. "My position is, I just don't think it's appropriate for a United States senator to be picking the nominee," Cornyn said on a conference call with reporters on Wednesday. "I think it's the voters and the delegates, and I'm more than happy to support the nominee they choose." Cornyn made clear on his first day as Senate majority whip over a year ago that he would not endorse in the presidential race. Since then, the field has narrowed to Cruz, real estate magnate Donald Trump and Ohio Gov. John Kasich. In the past two presidential races, Cornyn endorsed the eventual GOP nominees after each man was on the march to the nomination and after their strongest rivals dropped out of the race. Cornyn endorsed U.S. Sen. John McCain on Feb. 7, 2008, "just hours after" former Massachusetts Gov. Mitt Romney dropped out of that race, according to a Washington Post report. That endorsement came after McCain unleashed an expletive-laced directive Cornyn's way the year before. Cornyn also backed Romney in April 2012, when he was the all-but-assured GOP nominee. On Wednesday, Cornyn pushed back on the notion that another contender, one who may not have run for president, could enter the fray at the July convention in Cleveland and win the nomination. The focus is mostly on U.S. Speaker of the House Paul Ryan, who has distanced himself from a draft effort. "I just don't see any real prospect of anybody sort of parachuting in at the last minute," Cornyn said. "I just don't think that's going to happen." Cornyn said he expects to play the role of spectator at that convention. "I just think it’s going to be a fascinating moment in American history." "I can't imagine the American people voting for Hillary Clinton to serve basically the third term of Barack Obama," he said. "And I think whoever the Republican primary voters and the delegates nominate, I will support that nominee wholeheartedly against a Hillary Clinton candidacy." Does that mean Cornyn will back Trump if he is the GOP nominee?